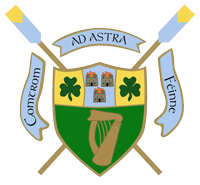 UCD Boat Club invites all its alumni and their families to our annual Gala Day. The event will include a BBQ, crew photographs, and a challenge race between the Men?s ’08 and ’09 Novice crews. Additionally, we will be holding mixed team match racing in eights and fours. Teams will be randomly selected from different categories? ranging from Novice to O.C, male and female. If you are interested in entering this event please send your name and status (Novice, Intermediate, Senior, O.C.) to: patrick.courtis@ucd.ie. Prizes will be awarded to the winning crews and we encourage you to participate. The BBQ will commence at 2pm and the match racing 3pm.